Five people arrested on suspicion of involuntary manslaughter and drug-related offences over the death of a woman have been bailed by police. 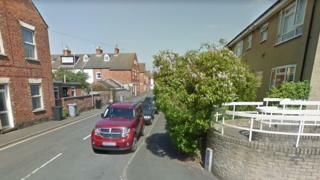 Officers were called to a house on Eton Street, Grantham, on Tuesday where a woman was found in cardiac arrest. She was taken to hospital but was later pronounced dead, police said. Lincolnshire Police had arrested three men, aged 43, 46 and 48, and two women, aged 41 and 47, but all were later bailed by officers.